Circling, tight tackings, handlings under pressure: the twelve crews fought the whole afternoon in the Southern bay to be selected for the quarter finals. A W 5-10 knot wind settled in and gave the Race Committee the opportunity to launch seven flights, ending the Round Robin. Four skippers have been knocked out: «veterans» Peter Gilmour and Bertrand Pacé, Vanne resident Pierre-Antoine Morvan and Monaco resident Gian Luca Perris. The Australian Torvar Mirsky is top-ranked with nine points. 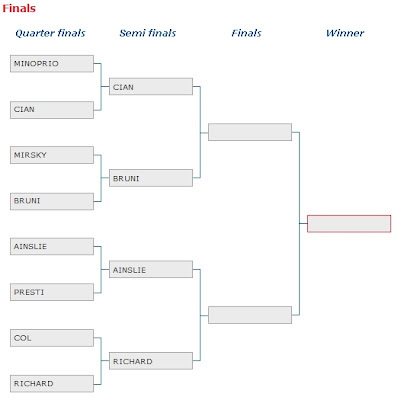 Quarter finals will be held tomorrow, before the semifinals and final on Sunday. Three French crews stay in the competition. The duels will be launched close to the coast, to the audience’s greatest delight, in Escale Borély village. The world hierarchy has been respected pretty much. World n°2 Torvar Mirsky arrived first of the Round Robin with nine points. 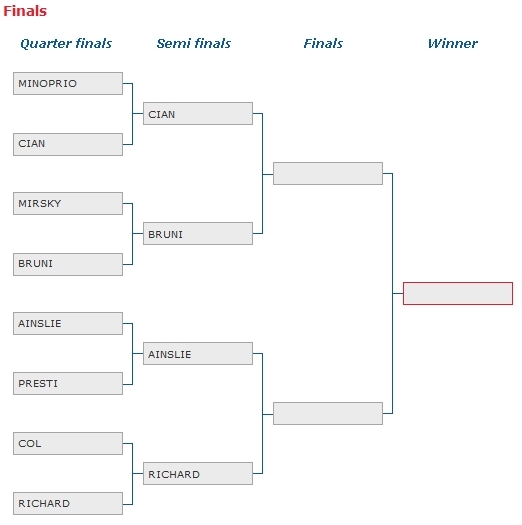 The only opponents who stood upt him are Italians Paolo Cian and Francesco Bruni. In the last flight of the day, the young Australian (23 years old) also managed to trap Briten Ben Ainslie, who ended second with the eight matches he won. Mirsky’s team is incredibly strong and regular with J80s. “They are dangerous with J80. It is a very good crew and they get on very well together”, says Marc Bouëtè French Match Racing team coach. 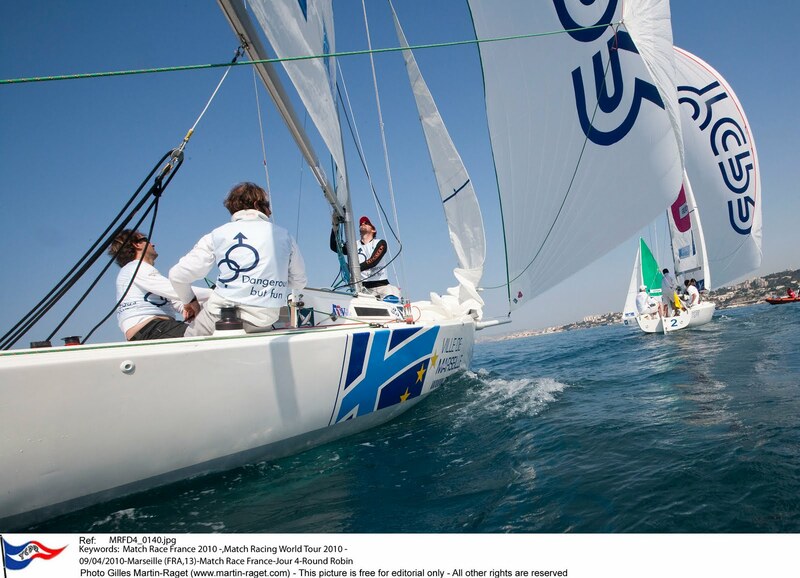 The other favourite of World Match Racing Tour won seven points during qualifications. In 2009, New-Zealander Adam Minoprio, 24 years-old stood out in Marseilles before winning the World Match Racing Tour. The eighteen flights of the Round Robin have been run in a very short time. 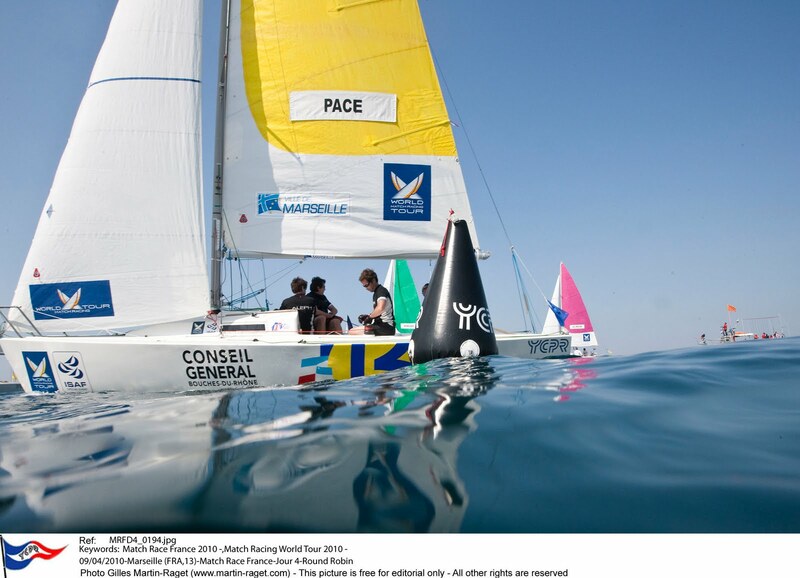 “Usually there is more wind”, says Dimitri Deruelle, off-shore committee organiser for Match Race France. The Wind was never stronger than ten knots. « We spent three days hunting the wind, to catch each light breeze. We made clean, beautiful matches”, comments Principal Race officer Christophe Gaumont. Four crews will stop here. 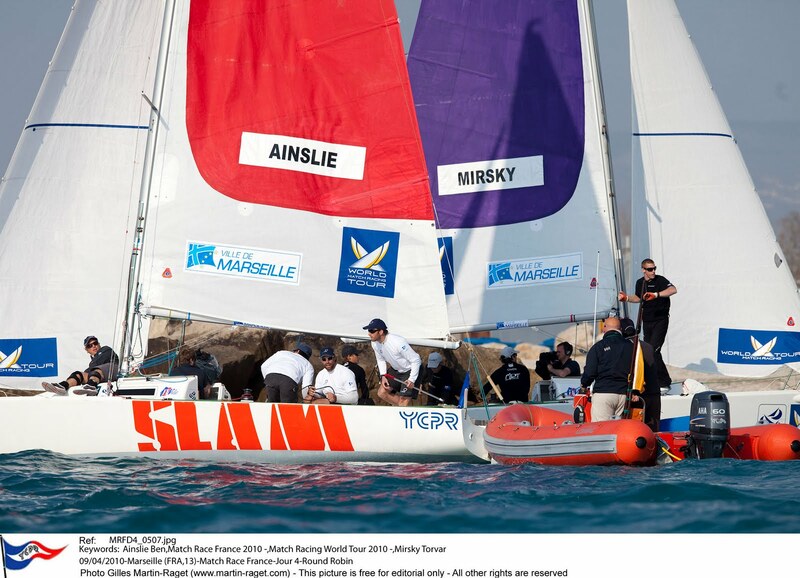 Both Match Racing legends Peter Gilmour and Bertrand Pacé did not succeed in being selected. 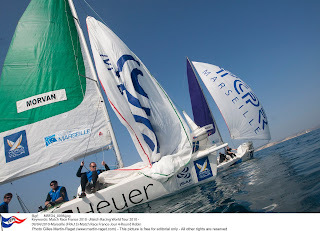 The eldest skippers (48 and 50 years old) lost in front of the young “machines of war”, led by Minoprio and Mirsky. The two other crews that lost had qualified for Match Race France during the Y’s Cup (organized by Yachting Club Pointe Rouge): Frenchman Pierre-Antoine Morvan and Monaco resident Gian Luca Perris.